Since 2007, 118 Samsung factory workers have died due to work-related diseases and hundreds have fallen ill, according to SHARPS, an occupational health advocacy group in South Korea. In July 2015, Samsung finally agreed to pay victims $85.8 million in compensation—in line with the recommendations of the Mediation Committee. In 2018, Samsung finally agreed to sign a binding agreement that ensures includes a compensation scheme for past and future victims of South Korean Samsung factories, and plans to implement safety measures in those factories. While this is a promising first step, this agreement does not address other labor violations in Samsung’s smartphone factories, both in South Korea and abroad. We must continue to hold Samsung accountable to all of their factory workers. Samsung’s progress thus far is due to pressure from workers, activists, and consumers worldwide: we need to keep the pressure on this multibillion dollar company that employs millions of workers. Furthermore, Samsung still lags behind their competitors, including Apple and Google, when it comes to disclosing what chemicals they use in their supply chain, and sharing their plans to restrict or replace hazardous chemicals with safer alternatives. In 2018, Samsung published a list of 11 chemicals that are restricted or banned within their supply chain. While this is a promising first step, the electronics industry uses more than 11 chemicals. In fact, other industry leaders have begun publishing more comprehensive Manufacturing Restricted Substances Lists (MRSL) that detail restrictions in chemical use and plans for replacing hazardous chemicals with alternatives. Furthermore, the two chemicals that Samsung banned – n-hexane and benzene – were banned by Apple back in 2014, thanks to consumer pressure from Green Americans. This shows that, despite the progress Samsung is beginning to make, Samsung is behind the curve with their chemical policy. 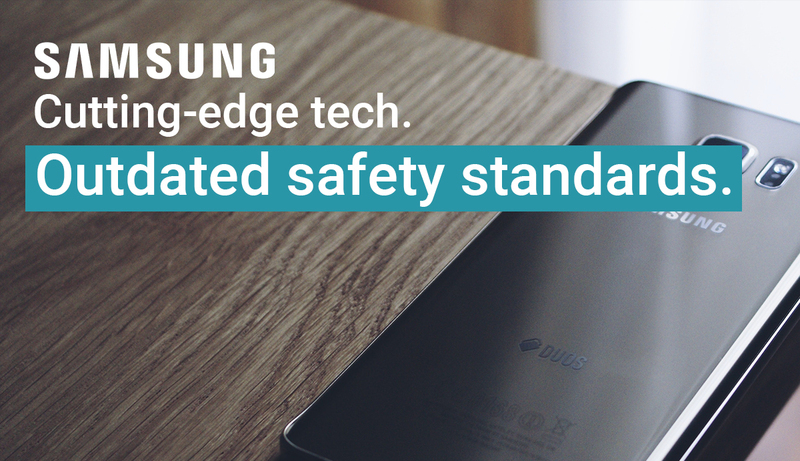 Although we celebrate the small steps that Samsung has begun to take to improve labor conditions within their supply chain, these are just the first steps in improving labor conditions for Samsung factory workers. Without a comprehensive plan to monitor and remove hazardous chemicals from Samsung factories, young workers continue to risk their lives every day just by doing their jobs. Stand up for Samsung workers by signing this open letter to Samsung’s CEO calling for the company to protect all their workers.